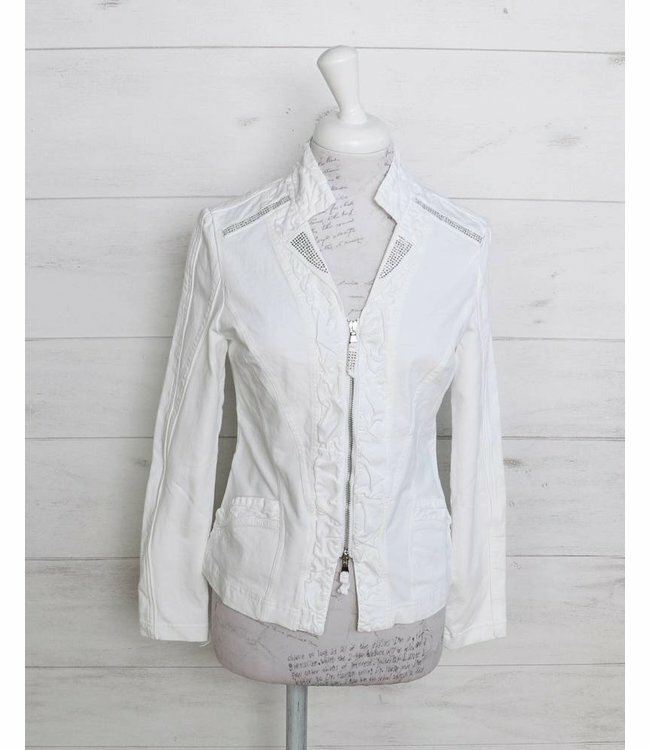 Casual short denim jacked in white, with stretch-cotton panels and zip. The front of the jacket is embellished with silver diamante. You can also find the matching top ELP179028906 Col. 01001 Bianco in our Shop.